Debuting at the 1975 Paris Motor Show, the Pininfarina-penned 308 GTB was introduced to sit alongside the Bertone-designed Dino 308, but looked to be spiritual successor to the Dino 246. 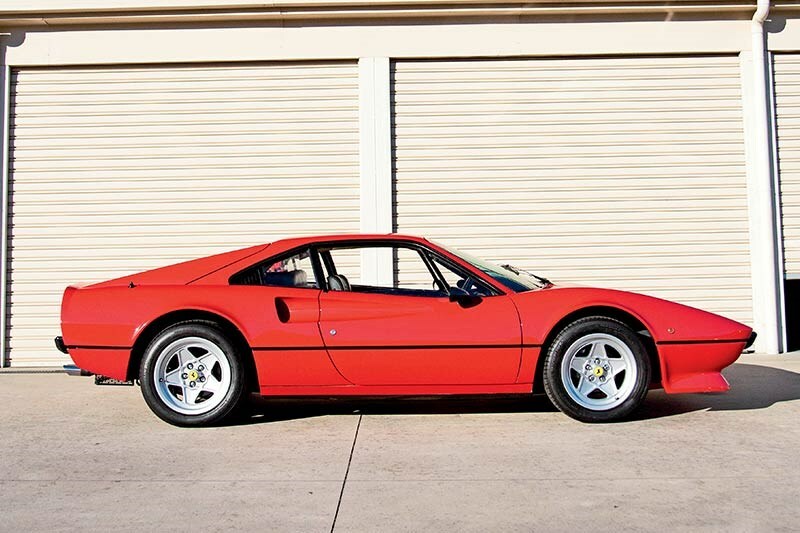 Designed by Leonardo Fioravanti, the 308 was another masterclass for Ferrari design with its low-slung aggressively wedged shape, and flared wheel arches. Fioravanti also penned some of the most sought-after classic Ferraris today, including the Daytona, Dino and 365 BB. Tube-framed with a transverse V8 mounted amid-ship behind the seats, the 308 GTB is a striking embodiment of 70s two-seater Ferraris. 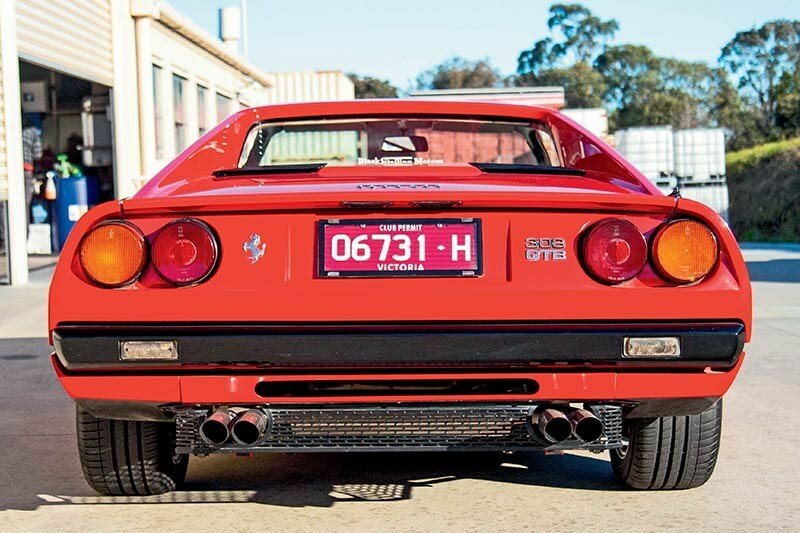 Australian-delivered models utilised the same 3.0lt wet-sumped V8 as the Ferrari GT4, with a peak output of 190kW. When first launched, the 308 GTB’s body was innovatively manufactured out of fibreglass – a first for Ferrari. Only 808 cars made it off the production line however, before Ferrari decided it was cheaper to produce the cars with steel bodies. These fibreglass cars are the most collectible (and are priced as such), and were reportedly 150kg lighter than the subsequent steel-body cars. The 308 GTB on offer here by The Healey Factory in Melbourne, is one such rare fibreglass car. Making this version even more sought-after, according to the Healey Factory, is that only ten fibreglass cars were delivered to Australia. 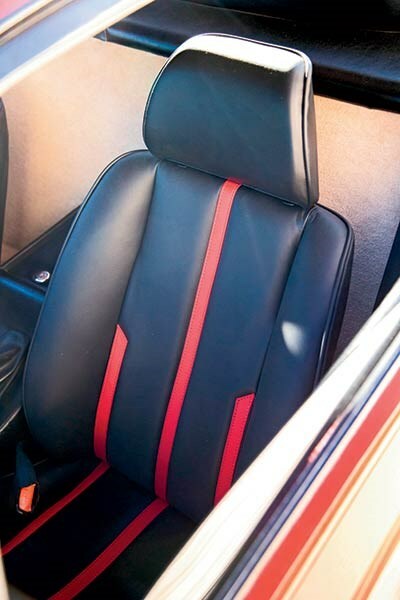 The car is finished in iconic Rosso Corsa with a nicely maintained black leather interior. 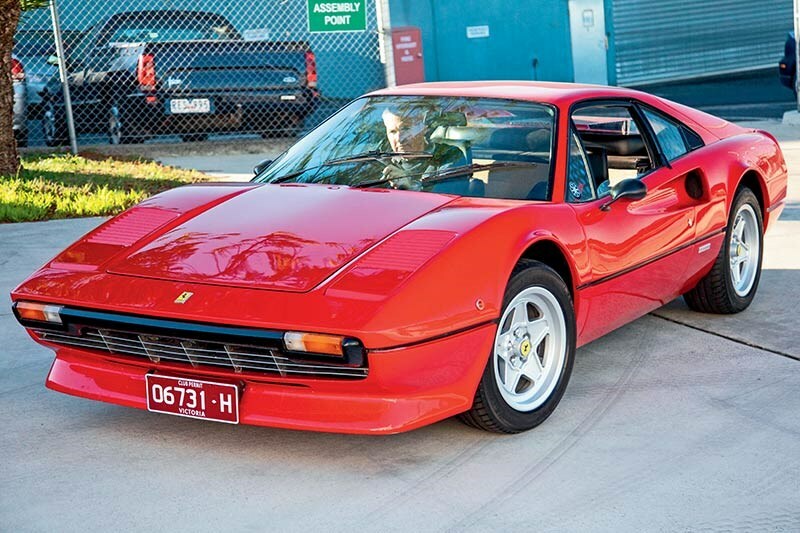 The 308 GTB has had single ownership since September 2009, and has reportedly had no expense spared on its maintenance – with invoices totalling more than $46,000 up until the beginning of 2018. The Healey Factory also states that invoices dating back to October 2003 cite an engine rebuild, as well as an uprated ignition system and new clutch – all totalling a further $37,000. One of the most stylish cars, ever.